Ever wake up in the morning to find last night’s ‘look’ smeared across your pillow? You’re not the only one. According to Dermalogica, more than half of us ladies (54%) will see make-up all over our bedding because we simply haven’t cleansed properly. With the average person only spending 20 seconds cleaning their face, it’s little wonder that all the make-up, sunscreen, excess sebum and environmental pollutants that can build up throughout the day, clings to our faces and our bed sheets. 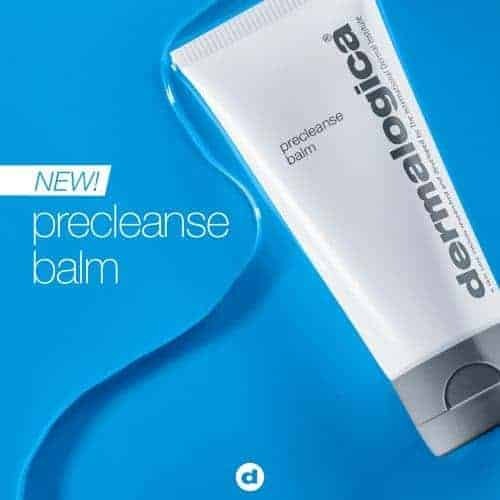 Luckily, Dermalogica have just launched new PreCleanse balm, a water-activated balm-to-oil version of their top selling oil cleanser, PreCleanse oil. Cult favourite, PreCleanse oil, took achieving clean skin to a whole other level when it launched over 10 years ago and PreCleanse Balm aims to do the same. PreCleanse Balm cuts through buildup in just one application, setting the stage for your healthiest skin ever. Long stay lipsticks, waterproof mascara, sunscreen and pollutants are no match for the PreCleanse Balm, which comes with a double-sided, ergonomically-designed mitt for enhanced cleansing and exfoliation to leave skin super clean. The oil based formula gathers grime like a magnet, while citrus and lavender essential oils relieve mental and physical fatigue and energises skin tissues, making it the perfect companion for healthy, glowing skin and clean sheets. When Dermalogica meets skin, skin health is redefined. Dermalogica is the number one choice of skin care professionals and consumers across the UK & IRE. Dedicated to delivering skin health results through education, innovation, and professional recommendation, for over 30 years. The force of change in the industry started in Los Angeles, circa 1983. Jane Wurwand, a tenured, UK-trained skin therapist new to the American “esthetician” industry, recognised that continuing skin therapy education was practically non-existent in the United States. While her UK training had been comprehensive and serious, US students entered the industry licensed yet under-trained, and worse, under-respected. Jane opened The International Dermal Institute (IDI) for licensed skin therapists to get hands-on postgraduate training. Today, IDI is considered the international gold-standard for postgraduate skin and body therapy training with 38 locations worldwide. Jane realised that no product line embraced her belief of skin health as opposed to “beauty,” so she developed her own. In 1986, Dermalogica was born. The vision was clear – a product line free of common irritants and ingredients that could cause breakouts (including lanolin, SD alcohol, mineral oil, artificial colours and fragrances) that would improve skin health.